Cute picture. Do you guys still play aqua aqua? Reminising the good old days. Hope you guys had great Christmas. 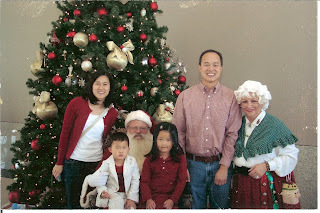 I love the picture--a rare shot of Mrs. Claus. I didn't know she left the North Pole for photo opps :).